Did one of your friends or family just get a new smartphone, and you want the perfect present for them? Get them a unique, custom smartphone case. Only the best of the best is good enough! With Pixum you can order the right case for many, many smartphone models. And the best thing is: you can completely customize your product with your own photos and designs. The Premium Case is the perfect gift for many reasons. It's a high-quality product that excels in protecting your smartphone, while remaining completely practical, and utterly beautiful. The solid and study case is slim, and snugly fits around your phone, hardly changing anything of the shape of your device. The case has an all-round print. Not only does your photo or design get printed on the back, but it also includes edge print, ensuring every inch of your smartphone case gets printed. Our professional printing process of not 4, but 8 colours, guarantees brilliant colours. The finish also protects your picture from wear. With a custom Pixum smartphone case you get to give something completely unique. 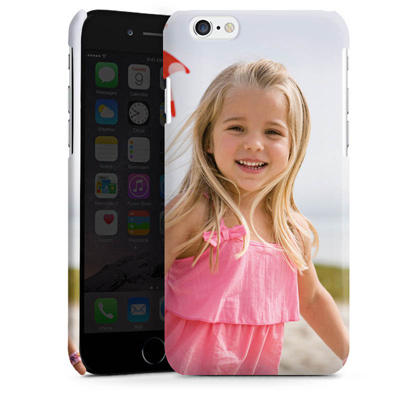 Through the website, you can design your Premium Case just the way you want it with photos, designs, or text. Creating your case is incredibly easy with our online editor. Just add the photos of your choice to your photo product. That way you, or the lucky person receiving the case, gets to keep their favourite photos with them at all times.